Seasalt have been on my radar for a while now. I live in wet Wales and I'm always on the lookout for practical yet stylish coats for the winter and Seasalt really fit the bill. The business started in 1981 in Penzance and all their clothing and coats have a very British seaside feel and are something I could see Rosie wearing when she takes little Bodhi out for a walk but would also work well in the city. 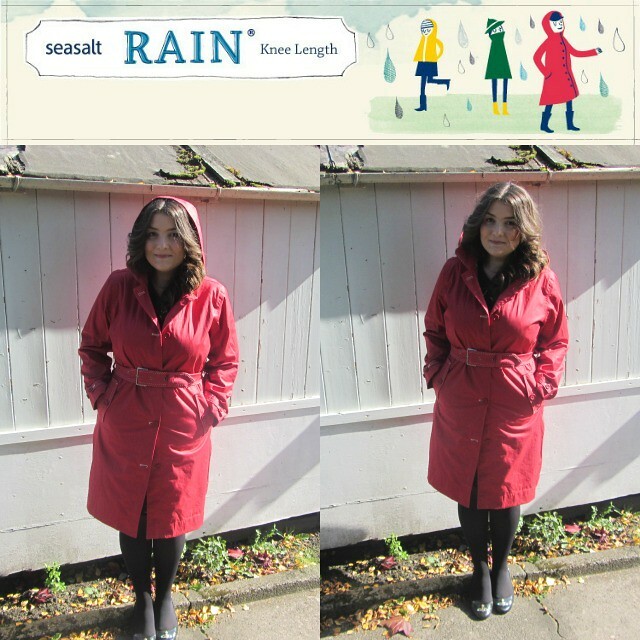 I've been wearing this knee length coat from the Seasalt Rain collection to work for the past week in the sun, showers and heavy rain is it practical for pretty much all weather. I would advise sizing up if you want to wear this in the winter because it's lightweight and you will want to layer some jumpers underneath which might mean a tight squeeze if you get your regular size. 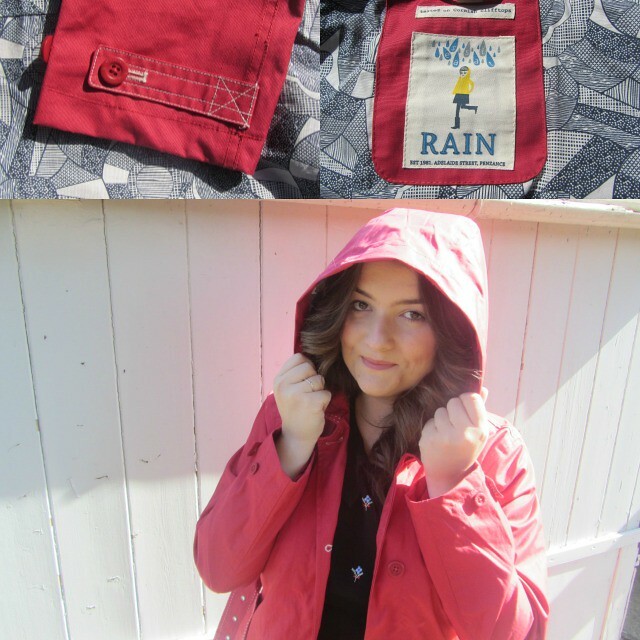 The Original Raincoat is made from organic cotton with a Tin Cloth coating which keeps it waterproof. It comes in navy or poppy with a hood, button up front, sleeves and pockets, and contrast stitch detail. I have to admit I feel rather sophisticated walking around in this instead of my usual biker jacket or demin jacket and I've stayed considerably drier when wearing this in the rain. Tin Cloth fabric is unique to Seasalt coats and is their own interpretation of a traditional oil skin. Waterproofs used to be made by coating heavy canvas with linseed oil but Seasalt have gone a little more hi-tec which means the fabric is both waterproof and breathable. Ooooo this lovely gem! So stylish for the rain! I love this raincoat, it's super cute on you. Aww I really like Seasalt! They were founded in my home town in Cornwall!! BEAUTIFUL, it looks much better on you than it does on the model!